Chris Legare has been in the construction business for over 15 years and delivers high quality work that exceeds his customers’ expectations. 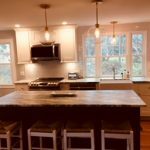 He has gained extensive managerial experience leading new home construction, older home remodeling, as well as commercial fit-ups/renovation jobs. Chris is also a talented finish carpenter who takes pride in his craftsmanship. Chris has a passion for building and pays attention to project execution details which enables him to complete his construction projects on time and on budget. 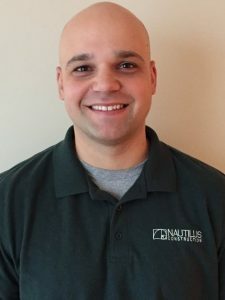 Chris Legare of Nautilus Construction is a general contractor specializing in Design Build Construction and remodeling. Serving Kennebunk, Wells, York, Saco, Portland, Scarborough and beyond.